Always use VBL™ Plow / Wing Shoes and Nose Pieces to extend blade wear life and help ensure safe operation. 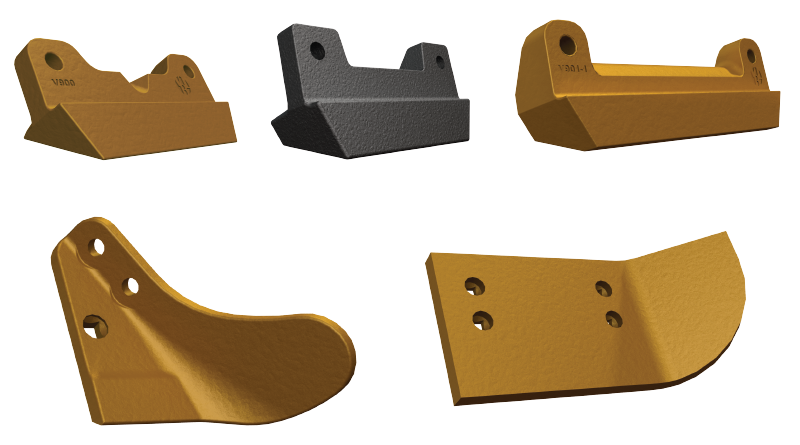 Nose pieces help reduce the tendency for the leading corner of the plow or wing to catch or dig into the road. These important safety parts are available for many different OEM* plows and wings. Tungsten carbide inserts brazed into a specially prepared groove in the nose piece are available for use with Carbide Tipped Plow Blades.